Multi-Room means music or video in every room you want it – but connected. You can play the same or different music in every room at the same time, with easy to use controls. Start playing a Movie in one room, pause it, then continue playing it in another one. We have several multi-room manufacturers to choose from, most of which use a standard infrastructure, and so are broadly interchangeable. 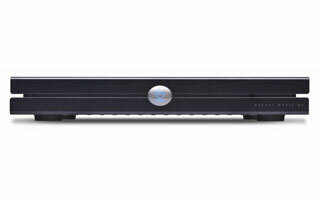 The Linn Digital Streaming system is one of the best established and offers some of the most flexible audiophile quality sound, controlled from handheld wireless control devices such as a phone or iPad. 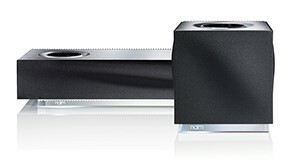 There are Blusound, Nu-Vo or Denon etc for great for budget systems. 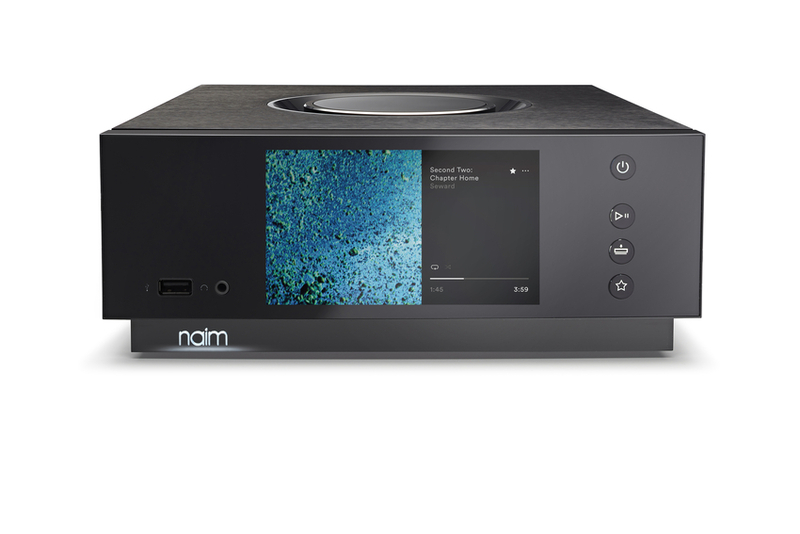 For those that prefer the legendary Linn or Naim sounds, we offer the full range of Naim and Linn digital streaming multi-room components. We believe these provide the finest quality audio coupled with reliability and ease of use. 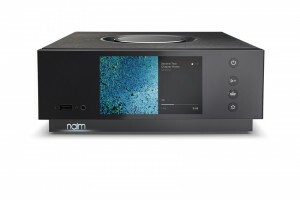 Both Naim Audio and Linn have been at the forefront of top quality audio systems in the UK for many years and are associated with audio excellence. All of our systems are based on a central music server which distributes the sound via a digital Ethernet (Cat-6) network rather than trying to centralise the players and amplifiers in one place leading to long speaker cables and severe loss of audio quality. The systems we use are easier to wire up (See our page on Multi-room wiring), use short speaker cables for higher quality sound, and are ultimately much more flexible. The bonus is that you usually get an improved Home Data Network and WiFi for your computers and tablets as a bi-product of the system installation. Our Multi-room Systems can also form part of a Whole House or Home Automation System, where you have simple control of lights, Heating, CCTV, TV and Audio in every room you want it; even from the other side of the world, should you require. See our Home Automation Systems page for more details. Imagine it, you pick up your iPad, select your favourite music tracks on a simple menu, press play and hear your music better than the worlds best CD player can achieve. That’s the Klimax DS. Simple, elegant, future-proof. Firstly, your entire digital music selection is stored on dedicated audiophile grade server such as a Melco N1-A. The CD’s are “ripped” onto the drive using software which repeatedly reads the CD until it has a high degree of confidence it has an exact copy. This gives a much more accurate source than a cd player trying to achieve the same thing in a single pass. You can also store your i-tunes library, and 24bit Studio Master Quality Files that are easily downloaded from the Internet from the many websites dedicated for just this. We recommend using FLAC (Free Lossless Audio Codec – see our digital streaming glossary) for storing the CD’s as it does not lose any of the data. and supports full meta-tagging of the music files, so you know what they are. We will set up your system so you don’t have to worry about software. Your controller can be any “universal plug and play” compatible device such as an i-pad, i-phone Android phone or a laptop PC. Again we can supply and/or set up this device for you so it’s easy to use. The server and the Linn DS are plugged into a home network ethernet switch such as you’d find in a typical wireless home network. This allows the CD ripping software to find the album artwork and track names etc. from the internet, again free of charge. 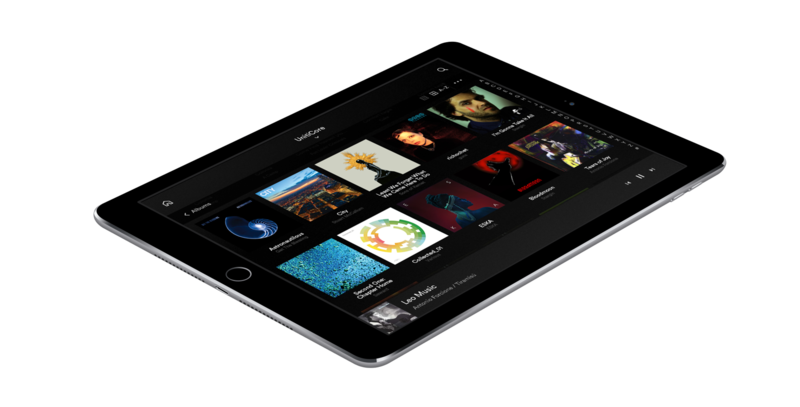 Using your i-pad, the music data is streamed from the NAS drive to the DS and is played back far more accurately than a CD player. The sound quality is astonishing – we’ve yet to hear a better digital source. The addition of a Linn Sneaky DS or Sekrit DS-i in each room gives you access to your entire music collection without the need for additional amplifiers, as they have their own built in power amps. Simply connect a pair of speakers and plug it into the ethernet network. Your Linn DS does not have to be limited to CD quality playback – you can now download studio master quality music files from the Linn Website (and others) using 24bit resolution and up to 192KHz sample rate. These can be played back in full native resolution – which is quite simply jaw dropping ! Anyone who is a fan of Analogue audio sources should hear this – it will change the way you think about your music. 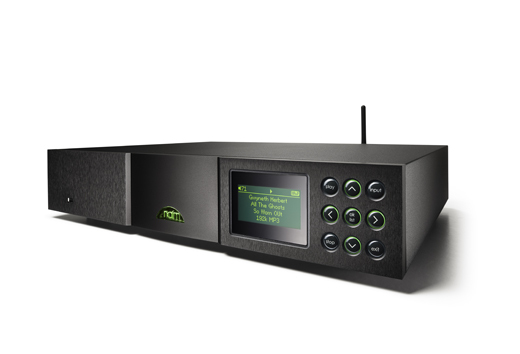 The Naim Digital Streaming solutions, have matured in to a highly capable family of digital streaming players to cover a variety of rooms. 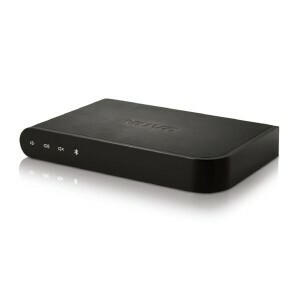 From the “Uniti Atom” single box streaming player/amplifier to the ND555 Reference network player, there are seven different levels of digital streaming players to choose from. These are all controlled by Naim’s dedicated control App for the iPad / iPhone (or Android device). Naim’s nStream App uses the ROVI database, which provides access to the usual CD booklet info and a wealth of other information about the artist, composers, band members etc. complete with discographies and more background information than would normally be fitted into CD booklets. Long established for their easy to use conventional style Multi-room systems Nuvo have launched an IP based Multi-Room system. Based around conventional Home Networking infrastructure, the NuVo IP system provides a high quality, flexible, multi-room system driven from your iPhone or iPad. NuVo use wired or wireless connectivity to link multiple zones together, and high quality amplifiers providing sufficient output for most applications. See our NuVo page for more information. The Heart of the multi-room system is the music server. This could be a dedicated server such as the Melco N1 here, or it could be a more conventional NAS drive or a PC. The Melco N1 Music server is so slick to use, it’s a bit of a no-brainer when it comes to storing your valuable music collection. For storing and distributing all your DVD’s we recommend the Kaleidescape range of servers and players. Like the music server above, you can drop a DVD into the slot, and within minutes it is available to view either locally, or distributed around you whole house network (via Cat-5 computer cable) to your remote players. 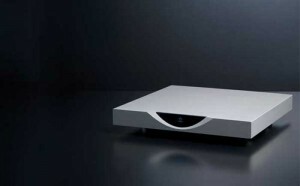 The Kaleidescape 1U Server provides ultra-reliable storage for your favorite movies and music. Like all Kaleidescape Servers, it’s able to continue running even after a drive failure – while it continues to safely store your valuable entertainment content. As your collection grows, you can add additional Kaleidescape Disk Cartridges to increase storage capacity for your movies and music. A single 1U Server can store up to 450 DVDs or 5,000 CDs. Multiple Servers can be clustered in a single System to store thousands of movies and albums as a single collection. For more information on the very slick and user freindly operation of the Kaleidescape system click here.